Wanyee Li for Ottawa Metro: A group of scientists say now is the time to invest in wave energy because B.C. has the potential to become a destination for wave-technology companies around the world. 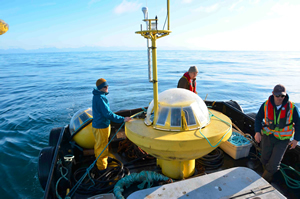 Researchers from West Coast Wave Initiative (WFWI) in partnership with the Pacific Institute for Climate Solutions (PICS) and the University of Victoria, have mapped the waves off B.C.’s coast at 50-metre resolution using data from the past 12 years. This information could help wave-tech companies who want to test their instruments on different kinds of waves, said Bryson Robertson, program manager at WFWI.